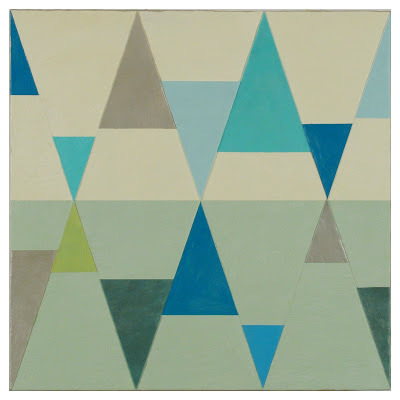 In “Chromatic Geometries,” her seventh solo exhibition at Arden Gallery, Mattera has decisively moved away from the layered, atmospheric approach of earlier “Silk Road” and “Vicolo” series to explore, with her customary virtuosity, the possibilities of figure-ground relationships and the illusionistic space conjured by dividing the square into two horizontal rectangles. As usual, Mattera demonstrates tremendous mastery over her materials and a seductive approach to color, while introducing some quirky compositional strategies. Although she usually discusses her work in terms of formal exploration, the timeless fascination of the figure-ground reversal that points to our shifting notions of meaning and perception is compelling on a metaphorical level as well. 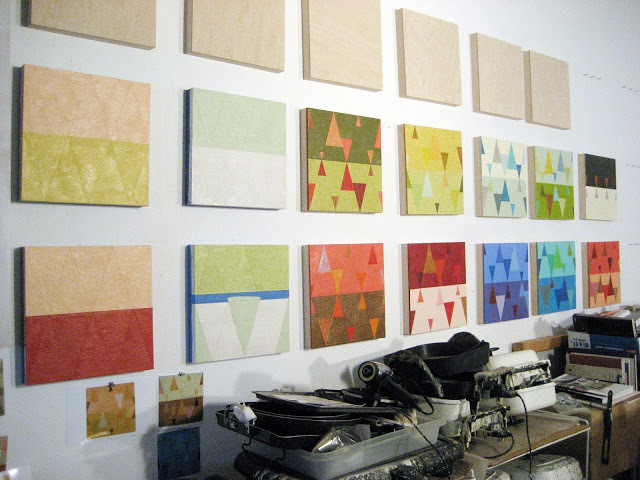 Joanne Mattera’s studio, work in process for the exhibition. Image courtesy of Joanne Mattera Art Blog. 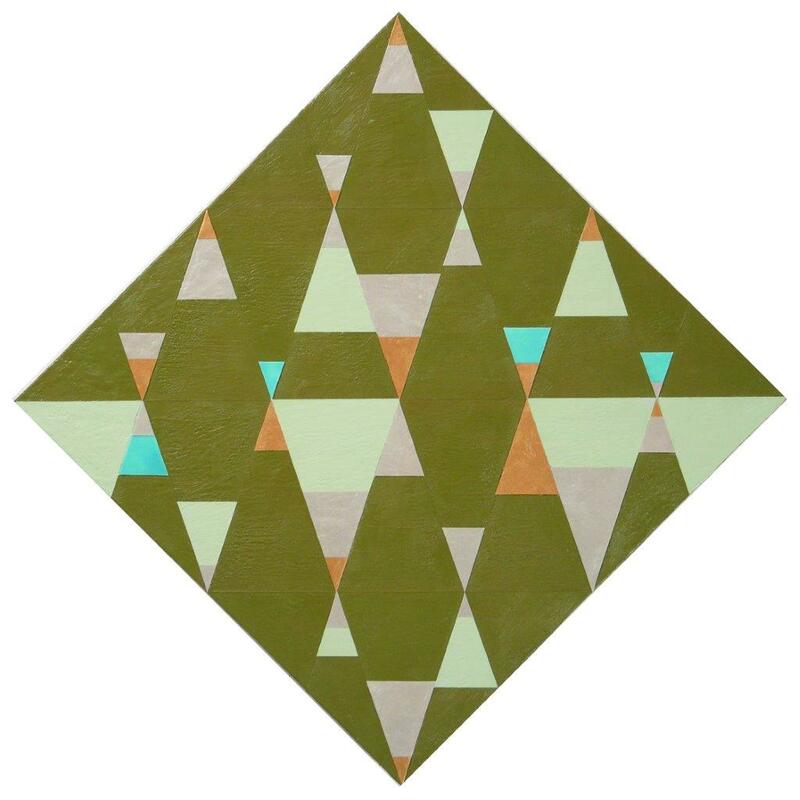 “Joanne Mattera: Chromatic Geometries,” Arden Galery, Boston, MA. Through September 30, 2013.